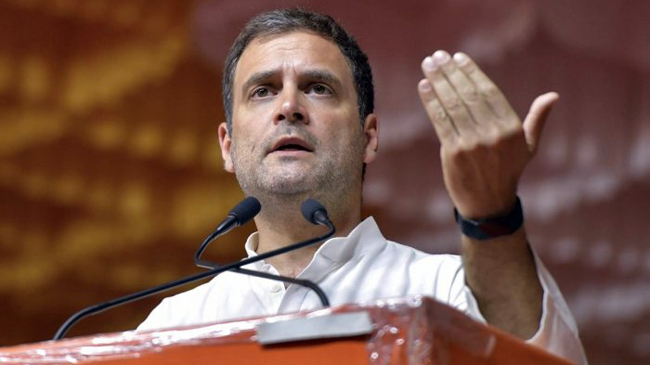 Kolar, Apr 13: Lashing out at Prime Minister Narendra Modi on the issue of corruption, Congress President Rahul Gandhi Saturday alleged that "100 per cent chowkidar (guard) is a chor (thief)." At a rally here, Gandhi also asked as to why all the "thieves" have the surnames of Modi. "I have a question. Why all the thieves have Modi in their names whether be it Nirav Modi, Lalit Modi and Narendra Modi? We don't know how many more such Modis will come out," Gandhi said. "You stole Rs 30,000 crore and gifted to your thief friend. You 100 per cent steal money. 'Chowkidar' is a thief. Nirav Modi, Mehul Choksy, Lalit Modi, Mallya, Anil Ambani and Narendra Modi - There is a group, a team of thieves," Gandhi said as he attacked Modi, who has described himself as a "chowkidar" who would not tolerate graft.